Golfer, television commentator, golf course architect, author. Peter made his broadcasting debut with the BBC covering the 1961 British Open, and part of the team of ABC Television Sports, USA. By 1978 he was the BBC’s chief golf commentator. A professional golfer from 1946, Peter played in 8 Ryder Cup matches and 10 Canada Cup (now World Cup matches), winning 21 major events. With his father, Percy Alliss, among the finest players of his generation, it was perhaps inevitable that Peter would also make a career in golf. In September 1958, he won the national championships of Italy, Spain, and Portugal in three consecutive weeks. Peter has twice been captain of the Professional Golfers’ Association and was the first president of the European Women’s Professional Golfers Association, as well as past president of the British Greenkeepers’ Association. Peter retired from the professional golf circuit in 1969 which led to a full-time career on the other side of the ropes. He is recognised around the world for his television commentaries for ABC in the United States and the BBC in Europe, as well as working for the Australian and Canadian Broadcasting Corporations. 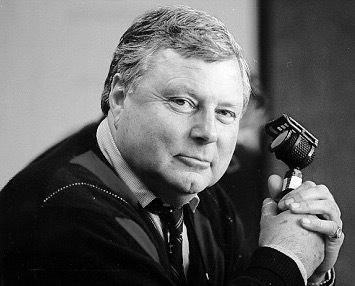 As well as commentating Peter fronted 140 episodes of the popular BBC series Pro-Celebrity Golf, between 1974 and 1988, and progressed to an informal chat show on the fairways, Around with Alliss. His most recent television series, A Golfer’s Travels, is still being shown on worldwide television. Peter recently toured with his successful one-man show ‘An Evening With Peter Alliss’.